To see your child grow and learn is the best feeling in the world! It is also a little bit scary to know what the best way to help their learning process is. As you have seen in your child since birth, their quest to learn and do things is awe inspiring. They are constantly discovering the world around them. If you think about it, they have learned so much in just 2 years! That is why your number one priority is finding the best preschool that will encourage your little one’s continued growth. Our goal at Rainbow Bright Christian Learning Center is to provide a caring and loving learning environment for your child. Our motto is “Where God’s Little Promises Grow and Learn”. Your child is the promise of God that the world continues. We want your child to discover their God-given talents and abilities, balanced with loving direction as the formula for educational success. My prayer for all of our families is that we work together to help their little ones succeed in this learning process. I get so excited to see children discovering their world! There is no better feeling in the world than to see the happiness in their eyes and their excitement, too, when they have completed a task successfully! It empowers them to strive for their next discovery. As I think of the 40 years of my teaching career, I have seen many children grow and learn. When I think about how I have helped them start their educational careers, it is my contribution to God and the world. To give them encouragement and confidence is a real blessing to me. How great to think that the world will be a much better place because of the lives of the children I have been privileged to guide. What a wonderful promise fulfilled! 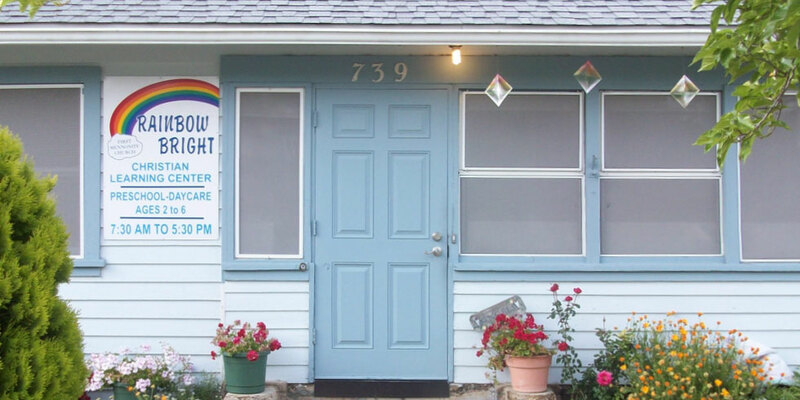 Rainbow Bright Christian Learning Center is located on the corner of 739 23rd St., Paso Robles, CA. 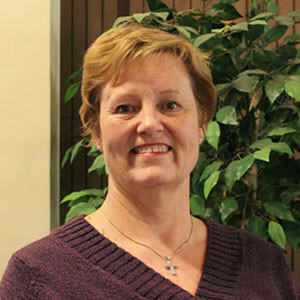 RBCLC began as a form of city outreach by the First Mennonite Church. Rebecca Rios and Helen Toevs began the process of licensing the center in 1989. They had taught at Paso Robles Christian School Child Development Center since 1978. In August of 1989, the center opened. Initially the center was licensed for 20 children, but in 2003 a generous donation of a benefactor, an addition was built that doubled the capacity to 40 children. We offer 2 day schedules up to 5 day schedules, full or half-days. You have your choice of days. Tuition/childcare costs vary. To make an appointment to visit the center for a tour call 805-238-0551 and ask for Catherine or email rainbowbrightclcpaso@gmail.com. We offer a clean and loving environment that helps your child grow to his or her God given talents and abilities. We are a structured preschool readiness program for 2 to 6 year olds. We are a learning center where we introduce different adventures in learning with a multi-sensory approach that directly stimulates the five senses in the subjects of art, language and reading readiness, science, math, movement & music. In this way, multiple pathways are formed for enhancing children’s retention of learning concepts in their lives. We also have an emphasis on alphabet concepts with phonics of letter sounds and printing. Our 2 & 3 year old class learns to socialize with their peers as well as learn basic concepts in the subjects offered. Our 3 & 4 year old class continues work on socialization and adds in more focused learning of basic letter recognition and other basic concepts. Our 4 & 5 year old Pre-Kindergarten class prepares for their transition to Kindergarten by doing more detailed activities. Small motor activities, such as printing and recognizing letters and sounds of those letters, how to put the letters together to form words that they can begin to read. Children are all unique in their own learning process. Some will achieve all that we offer where some will not. But all are introduced to these learning activities to help them grow and learn. We teach basic Bible truths that God loves us all and how we can love one another to make our world a better place to all our children. We learn Bible verses monthly and sing songs of faith as well as traditional songs. We do have prayer time everyday and before our meals. We maintain a ratio of 12 children per teacher. Our center provides services for children age 2 through 6 years. An enrollment interview and tour of our center are given prior to admittance.